If you’re frustrated because you struggle to get the word out about your product or service, the Building a StoryBrand podcast will help. 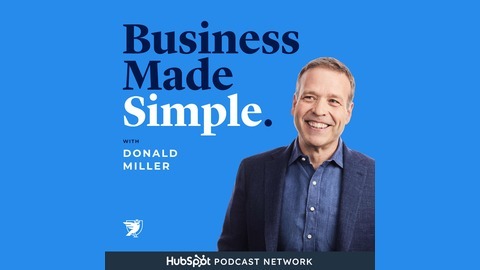 Fans of the podcast are ecstatic about the fun and entertaining way Donald Miller brings you practical advice about clarifying your message so customers will listen. 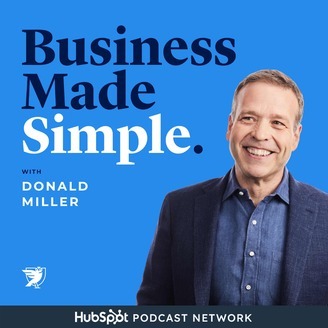 Don and the StoryBrand team are the world's leading experts in harnessing the 2,000 year-old proven power of story formulas to get people talking about your brand. Get your message out, grow your company, stand out in the marketplace, and have a blast doing it! Past guests: Seth Godin, Patrick Lencioni, Daymond John, Rachel Hollis, Ken Blanchard, Mel Robbins, Dave Ramsey, Scott Hamilton, Auntie Anne, Charles Duhigg, Daniel Pink, Blake Mycoskie (TOMS), Chris Anderson (TED), and so many others.